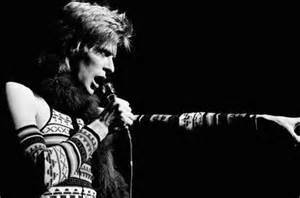 Pop icon David Robert Jones is one of the most influential performers of modern times and is being celebrated with the first international retrospective in London, UK. 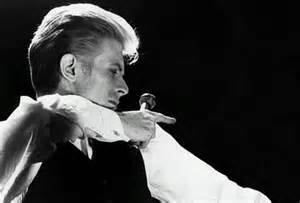 You may not know him by that name, so how about The Thin White Duke…? The Starman…? 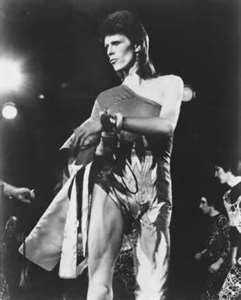 Ziggy Stardust…? If not, then David Bowie? Curated by the V&A Museum, David Bowie Is (23rd March – 11th August) will showcase his creativity, shifting style and relentless reinvention across five decades, in sound and vision. Stage costumes such as his Ziggy Stardust bodysuits will go on show alongside album sleeve artwork, visual excerpts from films and live performances, never-before-seen storyboards, handwritten lyrics and diary entries. Tags: album sleeve artwork, Art, David Bowie, David Robert Jones, exhibition, Fashion, London, pop icon, retrospective, stage costumes, The Starman, The Thin White Duke, V&A, Ziggy Stardust. Bookmark the permalink.